More than 200 exhibitors from all over the world, 5,200 visitors from Poland and abroad, international business relations and a solid dose of expertise imparted during three topical conferences and WorkShops seminars. The 9th edition of Packaging Innovations, the largest packaging industry trade show in Central and Eastern Europe, took place on 4-5 April 2017, in EXPO XXI Venue Hall. The Packaging Innovations Trade Show offers an ideal opportunity to find out what’s cooking in the industry and the list of new solutions it showcased this year is almost too long to mention. Visitors’ interest was particularly piqued by the Bio-PET technology, presented by Seufert Transparente Verpackungen GmbH: a new material from renewable sources used for transparent packaging, which allows resources to be saved while costing similar to traditional solutions. Intergrafix Sp. z o.o. premiered a compact folder-gluer that’s only 2.5m long! This 100% Polish design can easily compete with similar devices from global manufacturers. Fully automatic, it offers the possibility of gluing as many as 5,000 boxes per hour and is likely to revolutionise the machinery stock of companies that specialise in short series of packaging. Packaging Innovations is not just an excellent opportunity to find out about novelties in the industry and forge lucrative business relations. It is also a great venue to share knowledge and expertise. The organisers continually monitor visitor needs and trends, and the range of themes covered within this year’s WorkShops series of lectures satisfied even the most demanding guests. What does the art of lamination involve? How do brands engage Millennials through packaging? Does it really pay off to introduce innovative solutions? These were but some of the issues addressed during more than 30 talks delivered by well-known and respected industry professionals. An important permanent item on the annual agenda is a contest organised in the Student Zone. Targeted at young, creative and gifted designers, the competition opens up a number of avenues, allowing new talents to mark their presence in the industry, forge business contacts and receive their first commissions. In order to take part, participants had to design and build a prototype of an innovative packaging solution that could be immediately put into production. Twenty three projects were submitted. Following a fiery debate, the first prize was awarded to Agnieszka Pluszewicz for her original packaging idea for… dried fruit. The jury particularly appreciated the inventiveness and functionality of her design. “I’m really shocked, but very happy, especially since I’m still a newbie in the packaging industry. I’ve worked in interior architecture until now and I’m only taking my first steps in packaging design. I believe that the contest is a great opportunity, not just for me, but for all the participants. Many companies are looking for interesting solutions and out-of-the-box ideas, and the competition gives us the chance to get noticed and showcase our portfolio. I wanted to try my hand at the challenge and I made it! Who knows, maybe this is the path I’ll follow”, said Agnieszka Pluszewicz, winner of the contest and student at the Academy of Fine Arts in Katowice. 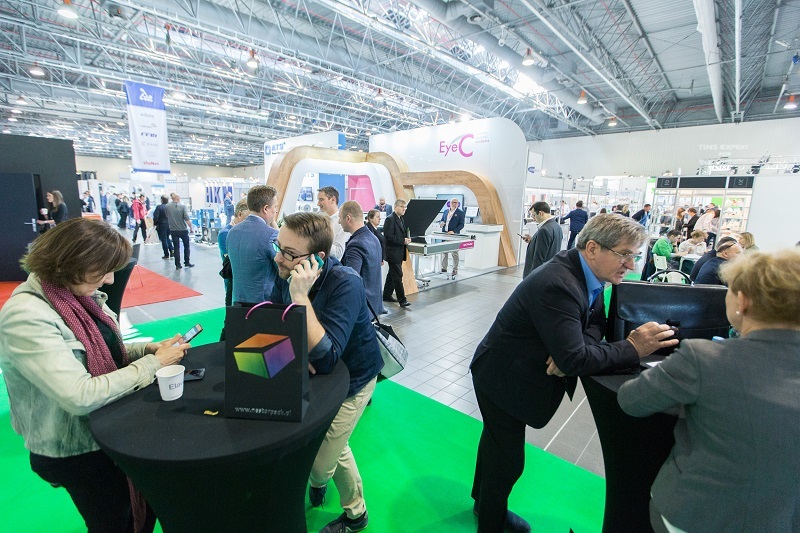 According to many Exhibitors, the Packaging Innovations trade show is the most important and the best organised event in the industry, in Central Europe. “We’re very happy with our experience at the trade show. We’ve never had any reservations about its organisation or services. Its location right in the city centre is also very attractive. This year’s edition is special for us, because we’re presenting the best package of the year, awarded in the Art of Packaging contest in the premium and professional category – Wydawnictwo Wajda. We’ve exhibited at Packaging Innovations a number of times, but this year’s edition is the best. Our stand is visited by more quality clients, and we are holding more meetings that even now seem to be very productive in marketing terms. Will we come back next year? It’s a rhetorical question: there’s no way we would miss it”, said Joanna Stanowicka-Ozga, Marketing Manager at Drukarnia Takt. Come join us for the 10th anniversary edition of the Packaging Innovations International Packaging Trade Show, scheduled to take place on April 2018 at EXPO XXI in Warsaw.